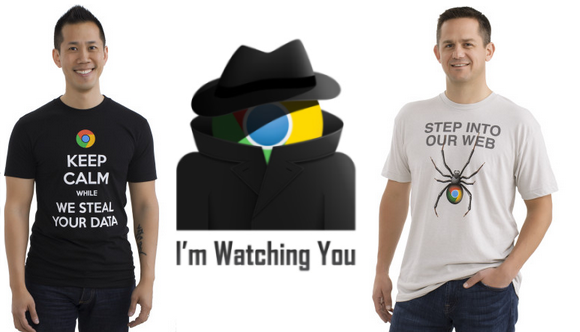 Are you shopping for the perfect holiday gift for your conspiracy theorist friend who harbors a deep, seething rage for Google's "Your face in ads" policy? Good news! 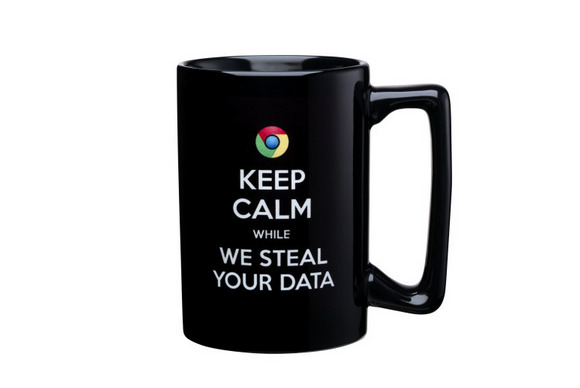 Microsoft's got you covered with a new Scroogled store stocked with mean-spirited gems like the coffee mug above. Yeah, it's sad. But Microsoft claims the low blows are working, for what it's worth (which probably isn't much, considering Bing's paltry 18 percent share of the search market). And while we're talking For What It's Worths, the Electronic Frontier Foundation's recent "Encrypt the Web" report gave Google a perfect score for trying to keep your data safe from prying eyes. Microsoft, meanwhile, scored 1 out of 5 on the testing criteria—just like MySpace. Sure, these Scroogled campaigns might get a chuckle or two, but they're also generating a lot of anti-Microsoft sentiment, as a quick search on Twitter reveals. Just saw the Scroogled store (oddly, it won’t load on my iPhone) and, er, yeah. Pathetic doesn’t really cover it. ‘Well done’, Microsoft. Wow. Just, wow... http://t.co/gHL2E2DWFI Really, Microsoft? Keep it classy, Microsoft. And if you're looking to hit Google where it hurts, at least do it right—with "Give me back my YouTube comments" underoos.